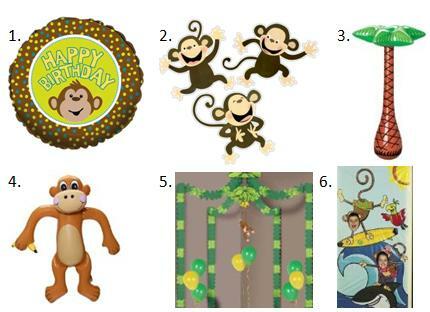 Planning a monkey birthday party for your little monkey? Then I hope some of these ideas inspire you! 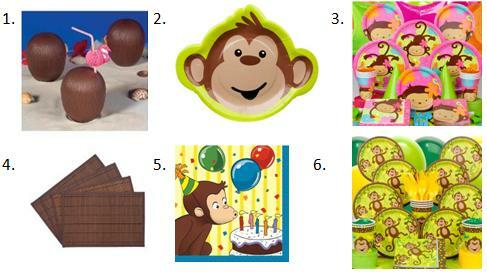 Don’t forget to check out our special Monkey category for even more fun party ideas, activities, monkey-themed food and more! For a backdrop behind the food table, try some plastic vines from a local dollar store and hang them on the wall. 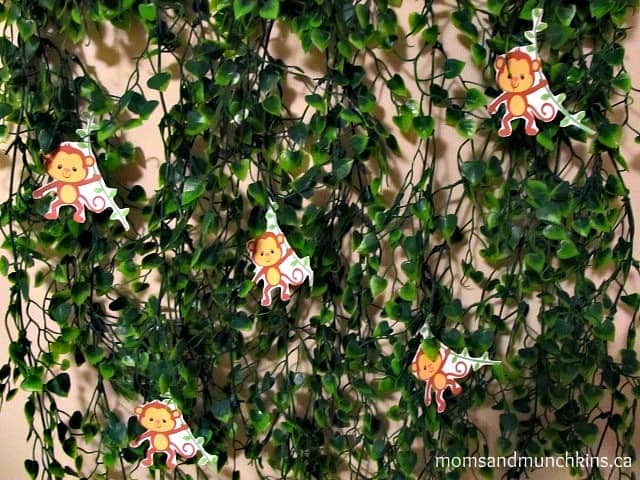 You can print little monkeys and hang them from the vines. You could also use more of these vines at the entrance to the party so that the children have to walk through them on their way in. 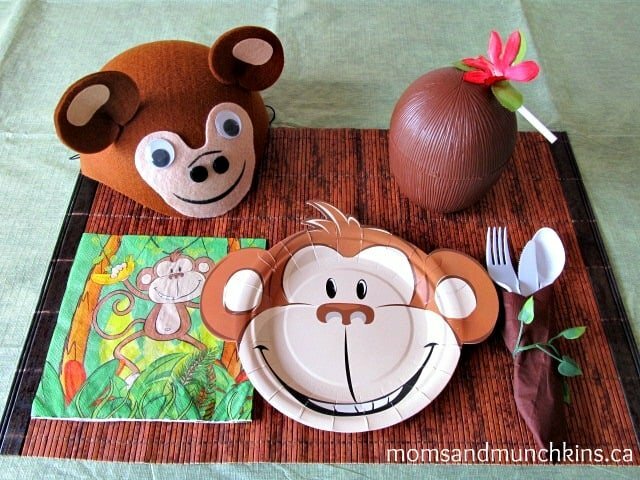 For the food, you could serve anything that the kids enjoy and just give it fun monkey names. For example, Jungle Monkey Burgers, Vine Fries (shoestring fries) or Banana Boats (hot dogs in buns). There are plenty of banana foods that could be included on a dessert table such as banana cream pie, chocolate dipped bananas, cupcakes with banana flavored icing and banana pudding. You could also serve banana flavored milk as a drink or in a punch bowl. A coconut cup would be a fun way to serve the banana milk. Banana Relay Race: A fun & easy game you can play is a banana relay race. Split the kids into teams of 3-4 and give each team a basket of bananas. At the sound of a whistle, one person from each team must place one of the bananas between their knees and waddle to the other side of the room/yard and drop the banana into a bucket. If the banana falls on the way, the child must go back to the starting line and try again. Once the child places the banana in the bucket (no hands allowed!) then it’s the next person in the team’s turn. After all members of the team get to one side, then they start over again to take the bananas back to the starting point. The first team to complete both rounds successfully is the winner! With all those bananas, you may want to plan on making a few loaves of banana bread! 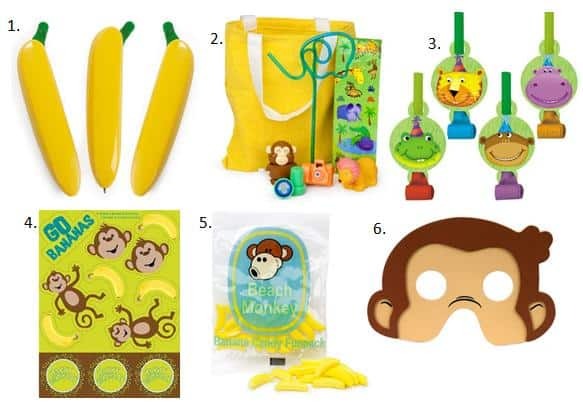 Banana Picking – Hang some banana cutouts from a tree and have the kids try to jump or come up with other clever ideas in order to pick all of the bananas. Banana Shooters – Create banana shooters in small plastic cups with graham crackers on the bottom, banana pudding in the next layer and whipped cream on top. Each child must successfully eat the banana shooter (you could say “no hands” for extra difficulty). Pinata – Fill a pinata with candy & a clue. The children must break open the pinata in order to search for the clue hidden amongst the candy. 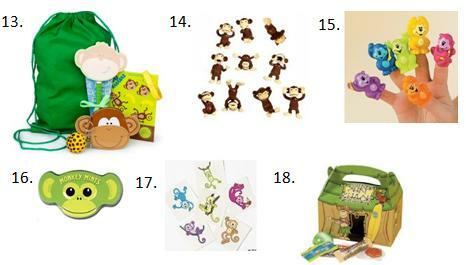 Monkey Impersonations – Each child must give their best monkey impersonation before they’ll be awarded the next clue. 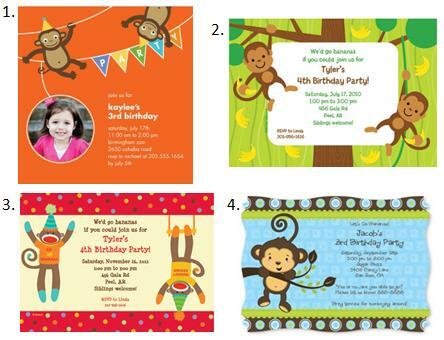 They kids will have fun hopping around like monkeys and doing their best monkey calls. 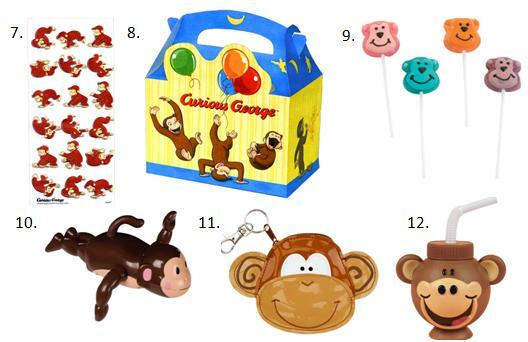 Barrel of Monkeys – Have the children try to connect all monkeys without the use of their hands. What’s the first thing that comes to your mind when you think of monkeys? We’re always adding new & creative party ideas. Stay updated on the latest parties by following us on Facebook, Twitter, Pinterest and Bloglovin’. *Disclosure: I am part of the Big Dot of Happiness, Tiny Prints Inc., Birthday in a Box and Amazon affiliate programs. Cute theme! I really like the vine idea.